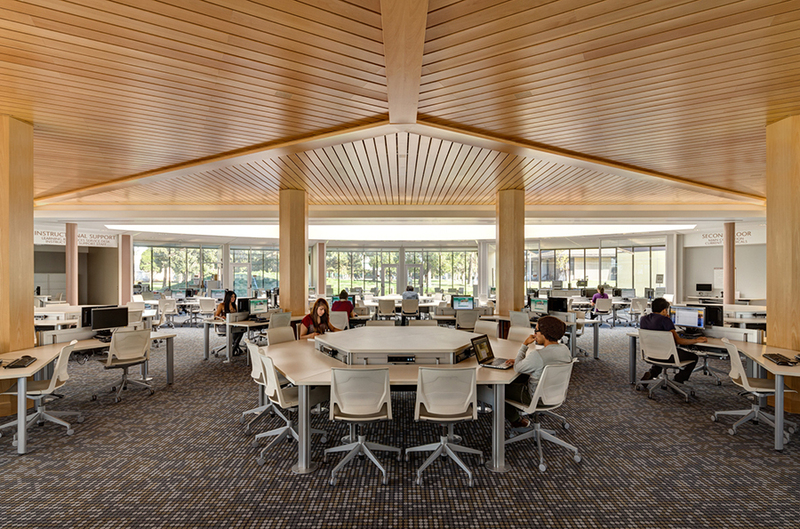 The new two-story facility brings together previously separated services to provide a student-friendly, one-stop center for learning resources. A central drum serves as a flexible learning hub where digital and printed media are shared and integrated in a collaborative learning environment. Three adjoining wings support specialized department functions. 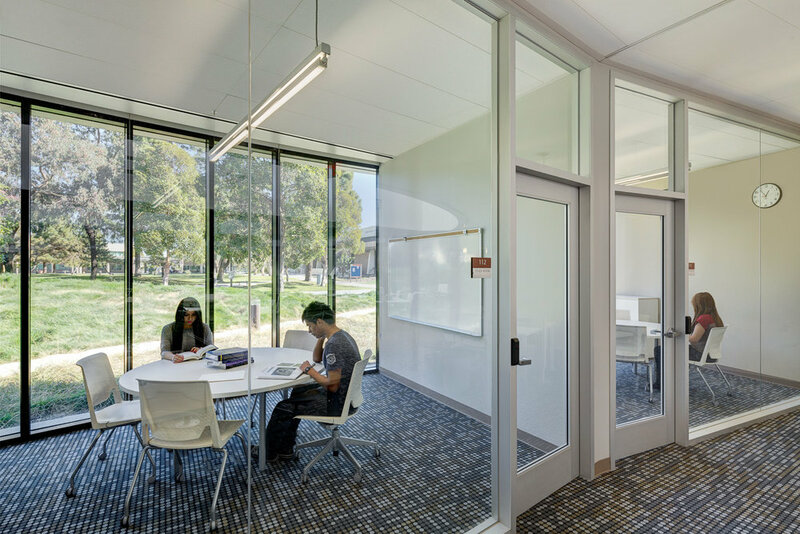 The open floor plan allows staff to easily monitor activity and flexibility for different teaching and learning configurations. 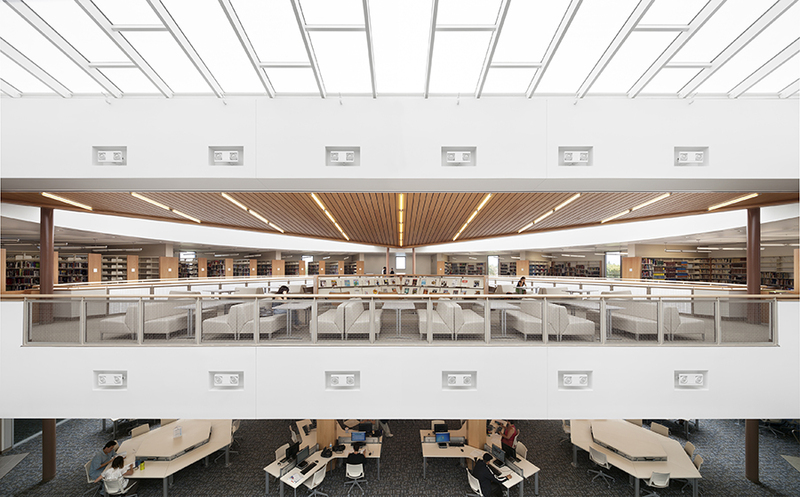 Three diffusing skylights bring natural light deep into the drum and reading mezzanine. Generous perimeter windows on the ground floor, shaded by metal mesh screens, allow views of the campus green. The design surpasses all the objectives of the College in a beautiful building that has already become well loved on campus. It promotes a student-centric perspective by breaking down previous barriers of separation and providing a warm, comfortable environment enjoyable to use.